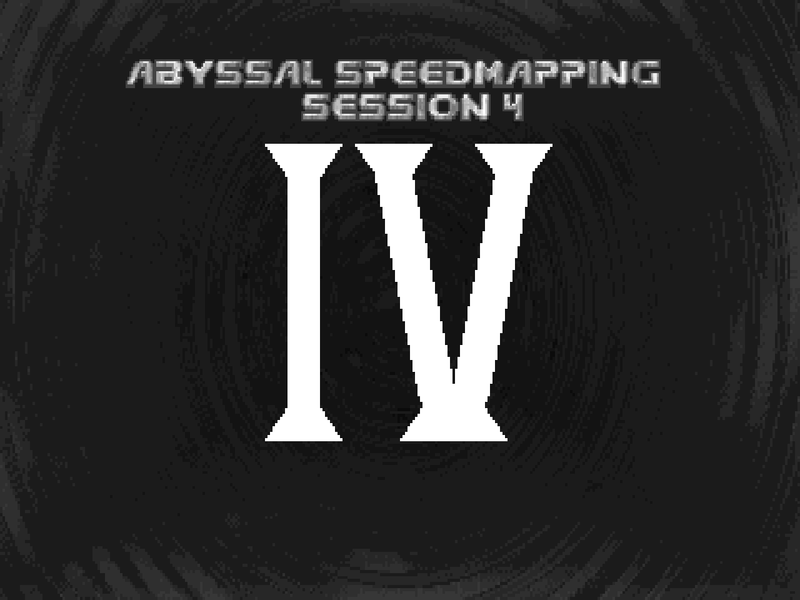 ABYSPED4, made and released in 2014, marks a fairly important progression point for Abyssal Speedmapping. Doom map authors get together in these events (originally on group Skype sessions) and then make levels over the span of two hours with some additional time for nuts and bolts adjustments. The size of the event went from drawing a scant four to seven to a whopping thirteen participants, reaching roughly the same number as Doomworld's first exercise back in 2001. It's even more interesting when you consider that these sessions, initially hosted by then-newcomer Obsidian, originated as jams involving a now-defunct forum called The Abyss that was hosting exiles of the then brutally mismanaged NewDoom community. Participants are given a fixed amount of time as well as three different themes so as to provide a springboard for their imaginations. In April of 2014 they were able to pick between "Abattoir", "Downtown", and "Fortress ruins". Some of the entries sort of span several of the selections but it's not like it wouldn't be difficult to combine all three in a level with a slightly liberal interpretation. Heck, just make the surrounding terrain of MAP04 a fence-bound city backdrop instead of a sinkhole in Hell and you're pretty much there. I think that "Matryoshka Citadel" comes the closest in this regard due to copious amounts of blood and a fortification that appears to be constructed from twisted apartment buildings and the like but the level of adherence to each theme is a point of interest and not one of criticism. The furthest in my mind is the sensational experience of "Blood Ball". It has some vague, slaughterhouse-like trappings but Fatal quickly forces you into the deep end where you have to endure a bestiary cross-section crossfire before being able to move on. 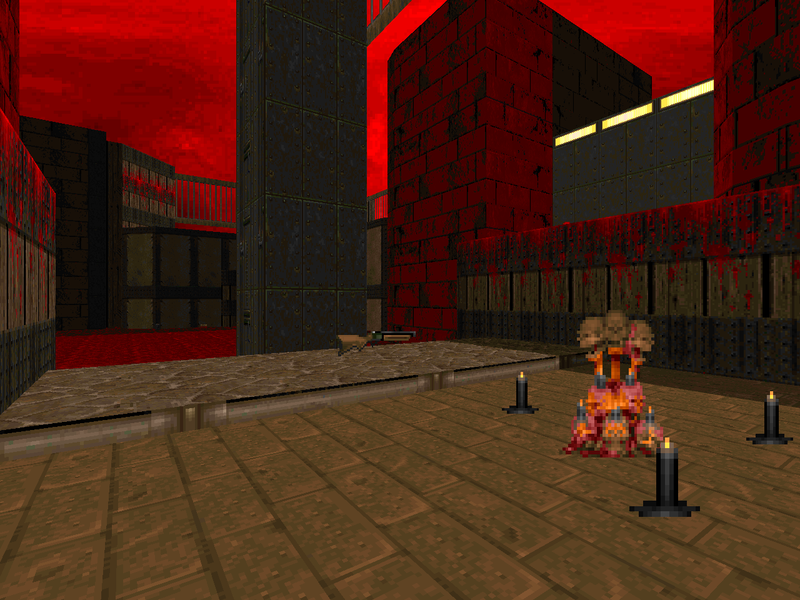 The rest, then, are more or less normal although "Hell Awaits" is notable for looking like a gross stereotype of a speedmap. "House of Ham" is an abattoir on two fronts given the density of walking dead while "Groggr" and "Cul de Sac" fall closer to normal, simple levels with the former featuring a dearth of ammo that you won't feel until the end and the latter giving you some quality time with the rocket launcher. Always a treat. The rest is composed of slightly more substantial selections. "Brawl" is the shortest but jolly good fun while "Fortresstopia" has the best ruins of the bunch and some neat work down below. "A-Bad-Toir" gets a lot out of a simple color scheme and showcases Tropiano's brand of tight action. "Fistery" feels like it's the closest to a traditionally-sized map due to its sheer space and offers a comparatively sedate spread of action. 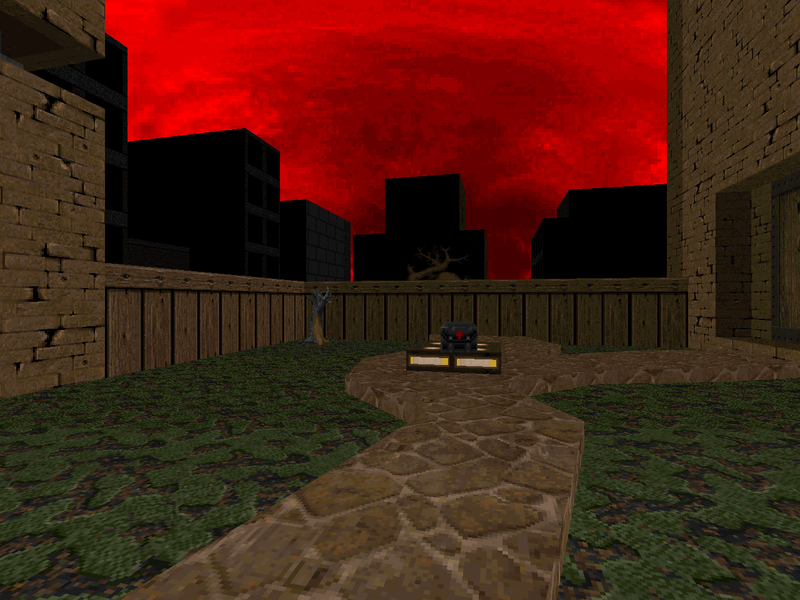 Gifty's wooden "Abbatoir" is the most congested in the set, getting a lot of mileage out of a large number of imps in a treacherous environment. "Spatterdash" and "Selling" are roughly as dangerous but the former is more about tactical movement where the latter plays something like a typical Plutonia level. Less emphasis on chaingunners, of course. Round it out with the excellent "Citadel" and you've got quite a complement of miniature maps for those days when you feel less like enormous adventures and more bite-sized action. I hope that the high ratio of excellent to enervating content as it's established here continues far into the future. The parts that aren't necessarily a slaughterhouse still are since you're gunning down easily-slain zombies and shotgun guys. There are no real surprises but you might get winged in the killing floor since it's the only place with a remote possibility of having to naturally handle two fronts at a time. Embellishments include some translucent windows and a silent teleporter / ROR trick. A cute, action-heavy piece that begins behind some sort of installation in the city. The author starts you with the Berserk and gives you a handful of demons to punch out but you're also expected to use the chaingun for commando snipers and rascally revenants as well as rocketing a brace of Hell nobles. The "downtown" theme is all in the opening backdrop. I like that James still found the time to end the level overlooking the starting area. A ruined fortress. It's neat how you don't cross the initial channel but instead jump into the sluice and head up the stairs before eventually coming back. I also like the fortress interior which has some height variation going on and where the majority of the shootout occurs. The ammo balance goes out the window at the end, though. The final chamber has two pain elementals crammed inside among a few other things. I didn't have enough scratch to avoid resorting to punching and that's after some fortunate infighting exploits. Proceed with caution. This one is a stronghold of sin in Hell with a basement that digs deep. The outdoor section is a nice opening area since the monsters tend to come from several different directions. The ruins themselves more resemble a labyrinth than the foundation of a fortress but they're close enough. 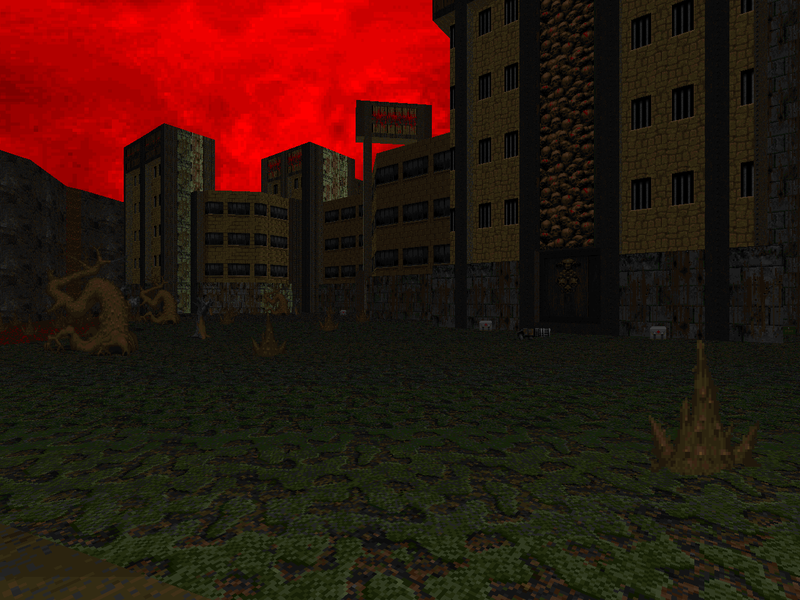 The underground is more gameplay-focused and leverages darkness to increase the difficulty. The secret BFG should allow you to steamroll the most troublesome entrenchments, including a pair of pain elementals and a sneak attack by a trio of Hell nobles. 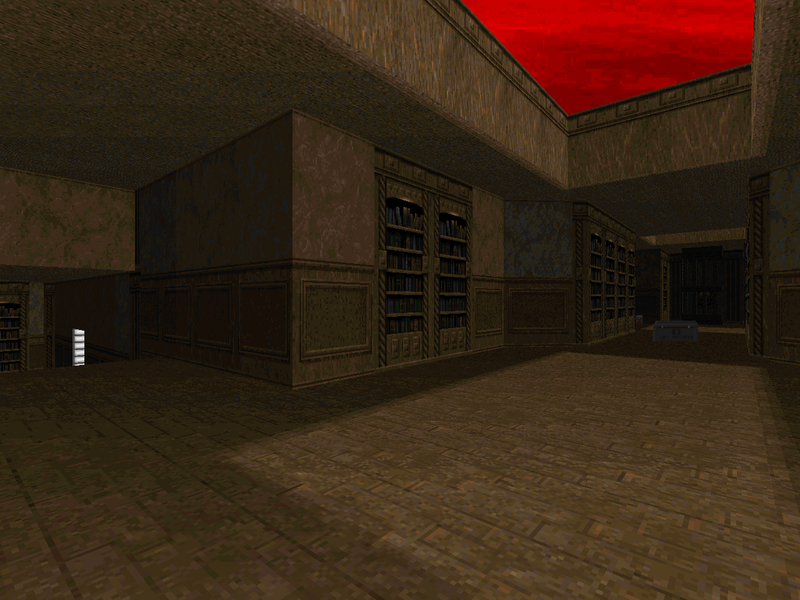 The dungeon looks pretty cool; the lightcasting helps to bring the hallway to life. 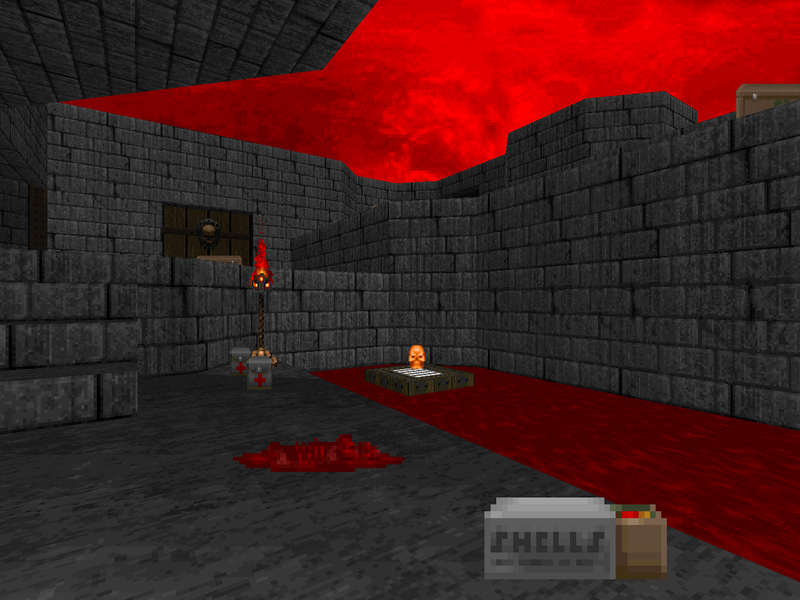 A very cool level with a distinct blood floor / gray stone color scheme that visually pops. 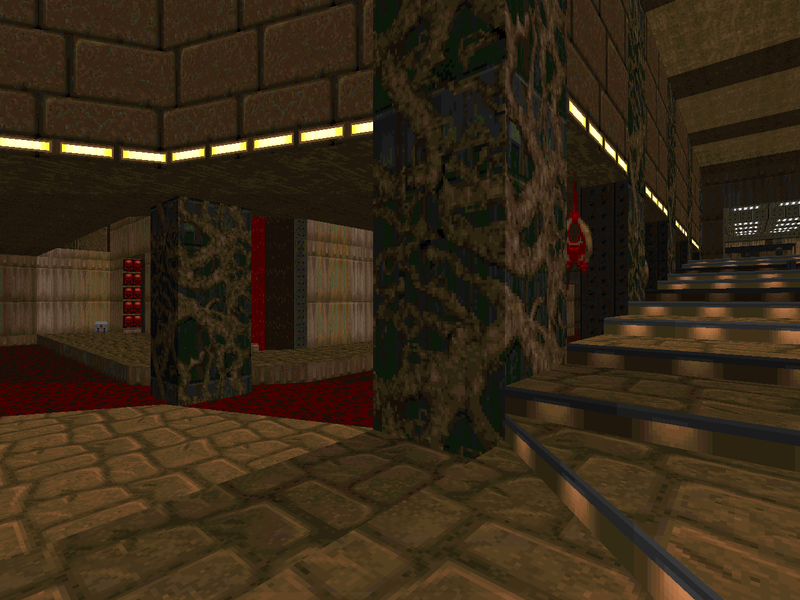 The layout is tight not just because it's small but as a result of the author using interesting room shapes and height variation between tiers in the same chamber. 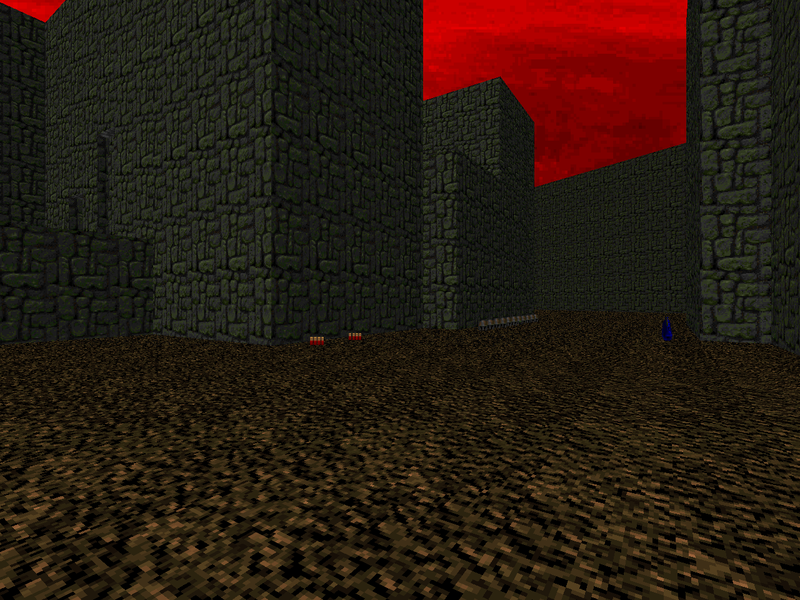 This gives the player a more complex environment to explore. Matt deploys a lot of beefy enemies, the chief one being revenants. They figure into most of the ambushes, the thorniest at the finale. Great stuff. Uh, this is different. 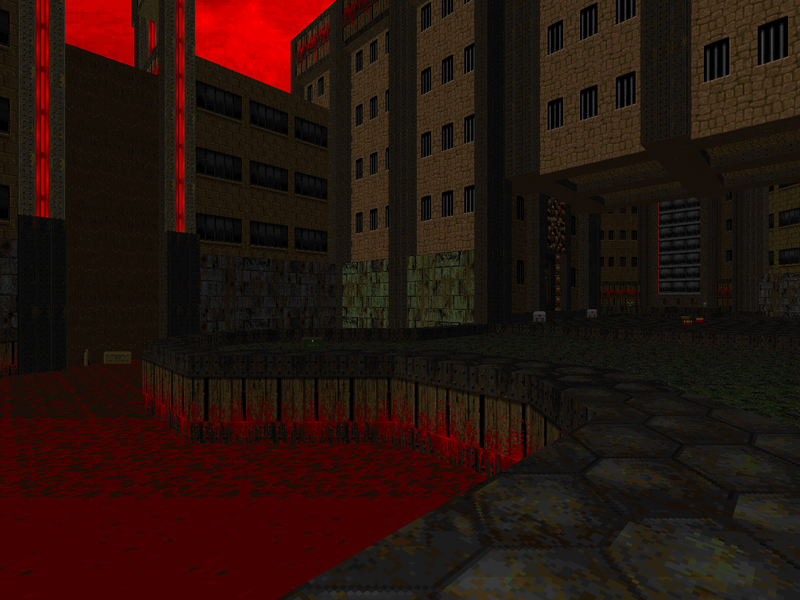 It's nominally a slaughterhouse but it's mostly about the kinetics of Doom. You can't / won't kill everything so I wouldn't even try; just run. You move from a certain death crossfire into a (mostly) projectile-focused minor nightmare. There's one big threat and it's the only thing you should really focus on killing. After that you can wait out the escape route opening and then move on to the death exit. It's fun and quirky, just completely disorienting in how it switches gears. ROCKET POWER! Basic, orthogonal geometry and it doesn't at all resemble its title at least in how I think of one but you get to play with the launcher the whole time so it goes by pretty fast up until the finale. Cutting across and back through the starting area is a nice way to re-use space and make the layout feel less strung together. None of the monsters are particularly threatening; I think an early surprise with a revenant at your back may be as dangerous as it gets. There is no Berserk punching in this vine-covered castle and hardly any kickboxing revenants. Most of the action will be diligent shotgun shooting interspersed with chaingun tapping. If you're lucky then you'll find the SSG first before having to grind down a few medium-tier monsters. There's a lot of ground to cover which gives it a real sense of place and the platforming combined with several tiers of play in the interior elevates the action. It's a solid mini-adventure. My favorite part is the rising exit switch. Unusually cruel, a wooden slaughter sewer crammed full of imps and a few other unholy creatures. I say this because the initial imp tide on the staircase is quite a feat to beat back, requiring much of your ammo, and then the author goes ahead and unleashes the arch-vile practically on top of them. You'll have to run past and snag the combat shotgun before you can even think of challenging him. This is problematic for a full kill scenario given the horde waiting around the exit portal but it's also a multi-faceted mob who can easily infight, conserving some of your ammo. Challenging but rewarding. 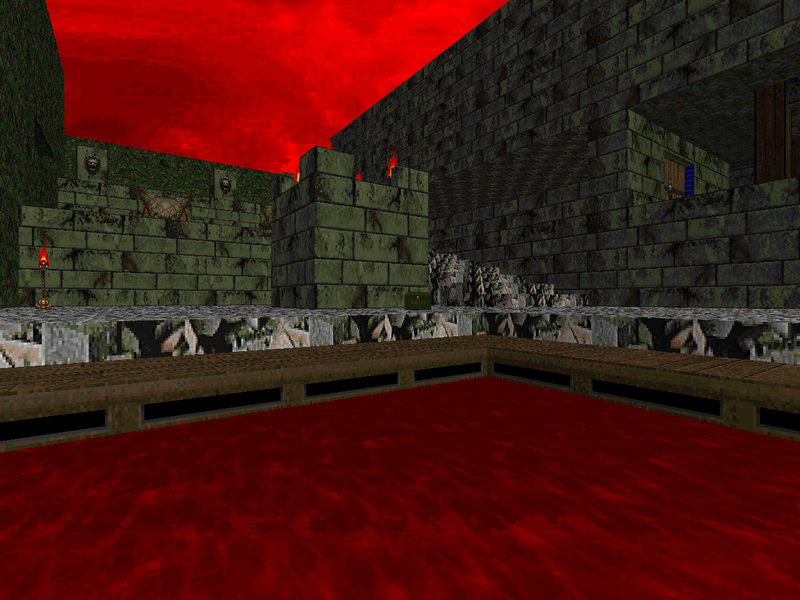 A thorny death arena drowned in blood. It's all about area denial but once you get past the initial shock it isn't so difficult to make yourself some breathing room, snag the rocket launcher, and then get to work. Few if any of the additional monsters arrive without your direct input so carving out a safe space should enable you to plot some tactical decisions. 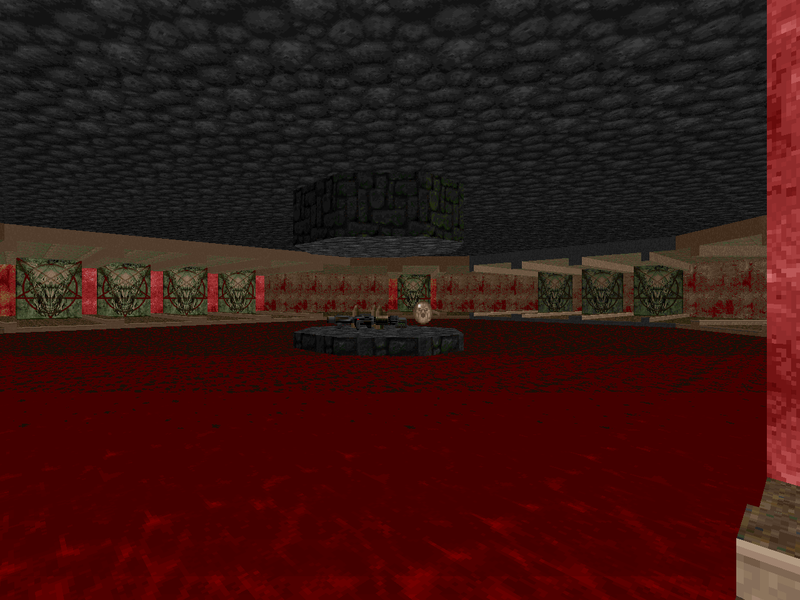 At the very least take solace in the fact that the blood floor doesn't damage you. Favorite fight, the inevitable exit surprise swarm. 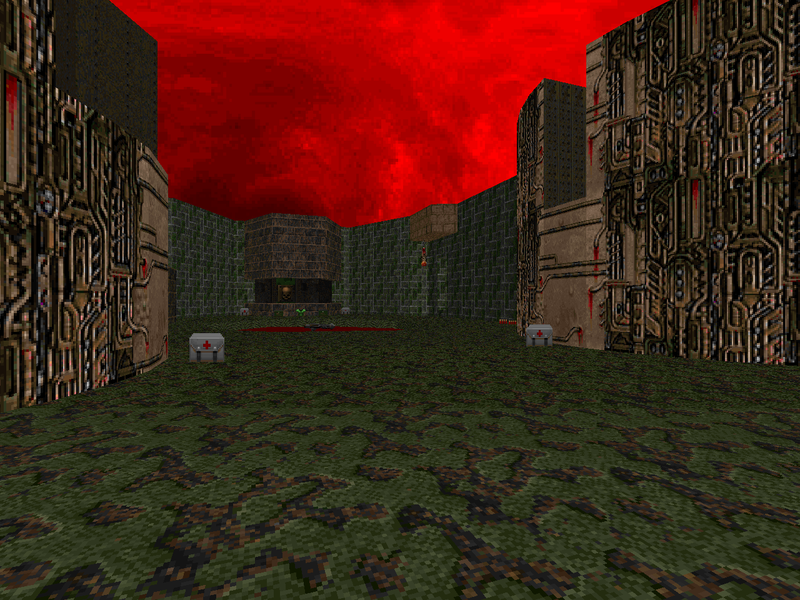 Lots of heavy monsters in this Plutonia-derived fortress including a "Go-2-it" exit room stuffed with arch-viles. The secrets aren't particularly hard to find but the one that contains a BFG is incredibly useful. 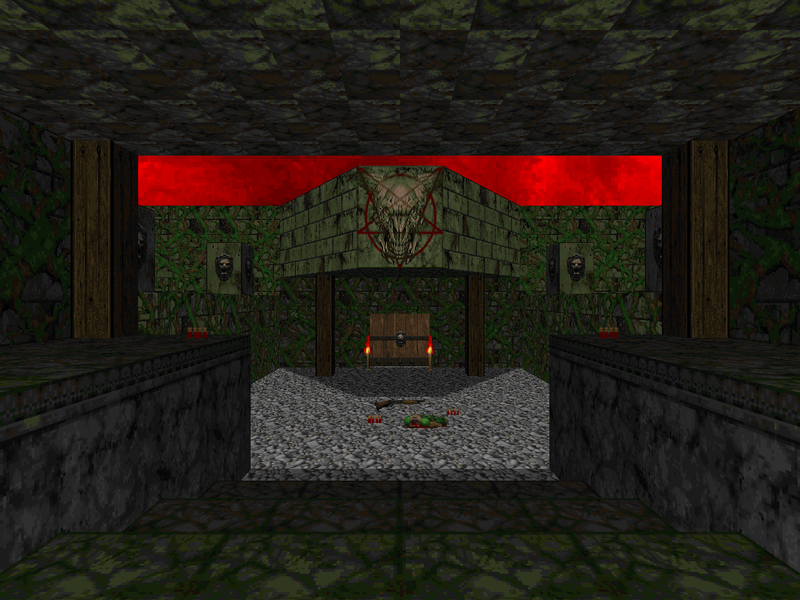 There's some area denial, especially in the archie / arachnotron overseen courtyard, but the most memorable section to me is a hallway ribboned with crushers and lined on one side by a viewing gallery staffed by chaingunners and revenants. The skeletons are definitely "Selling"'s most valuable monsters. Each level from the x-man feels like the tip of a much larger world that would be fantastic to explore. This fortress is no different. The opening lost soul battle is a nice warm-up but can't really compete with the several hectic shootouts once you breach the first wall. I had a blast trying to navigate the shotgun guy / revenant / lost soul / pain elemental / spectre brawl in the second stage. Fate ultimately conspired against me to prevent me from simply bullying my way in and revelling in the chaos (the two inner meatballs got lured into the demon vestibule) but it's probably for the best. The exit chamber looks crazy at first but Xaser offers two equally compelling solutions, one for people who can't BFG bump Cyberdemons and the other for those who can. 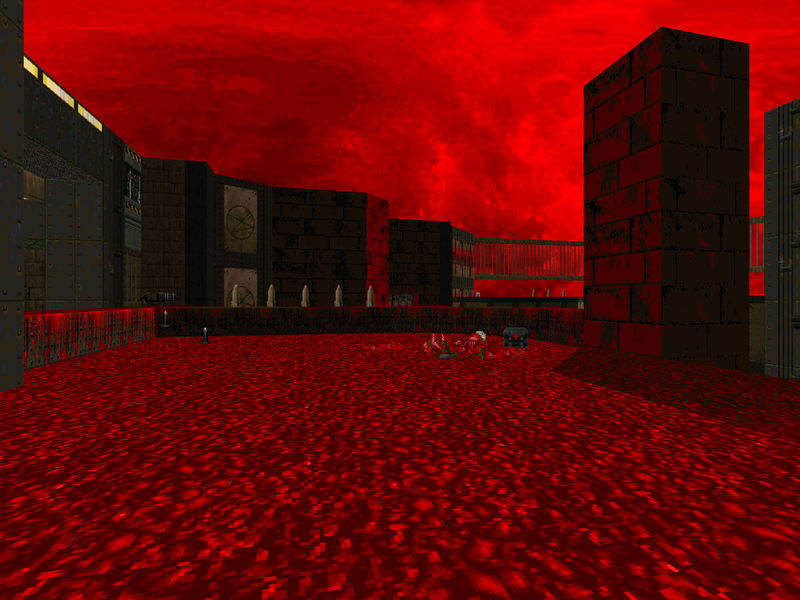 The worst part is probably trying to snipe the imps and mancubuses off the inner wall when going for 100%. Wicked cool. Phobus's brother hadn't made a map in years but deigned to join the crew for this one. 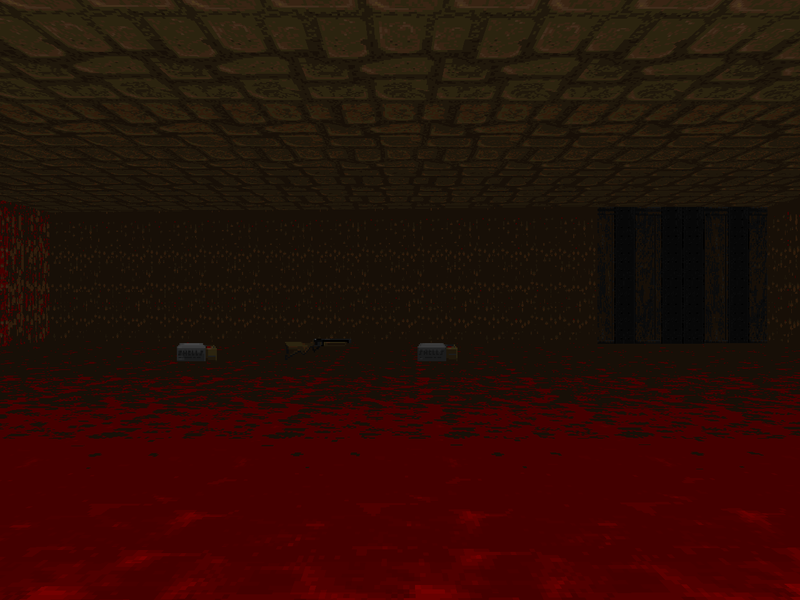 It's a very simple string of rooms and hallways, all lined in walls of cascading blood. 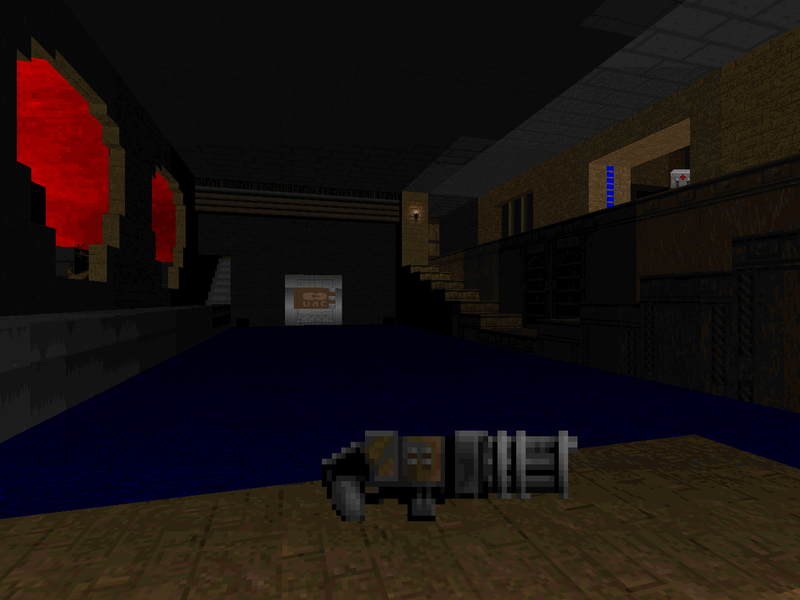 Nothing about it is at all difficult but the arch-vile setup makes for a classic, compelling encounter and the back half of the map is just going to town with the given plasma gun. 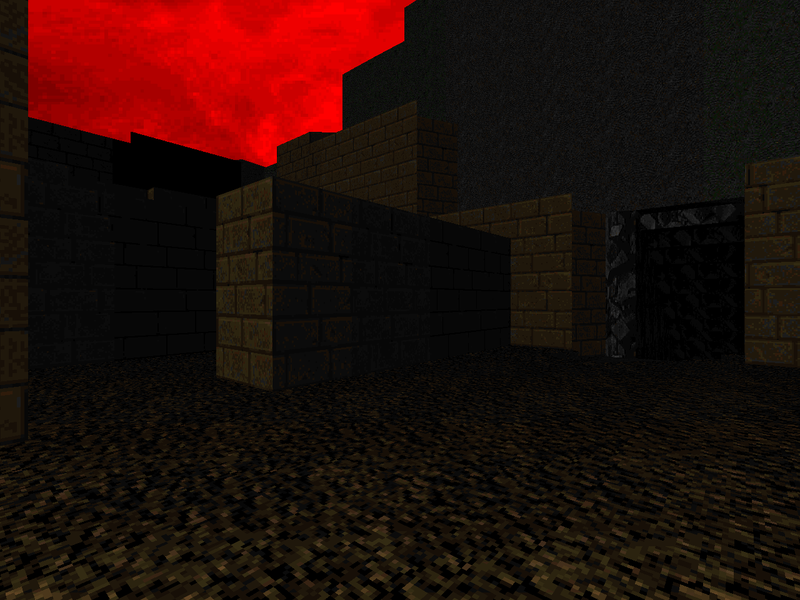 Plain, but it works if only because the core of Doom II's gameplay model is rock solid. Between playing megawads this feels quick and fun. Stand-outs for me were map 5,8 and 10-12. Xaser is just another level. Seriously, I really don't remember ever playing a bad map from him. Do you plan on playing more speedmapping sessions in the future? Yes. 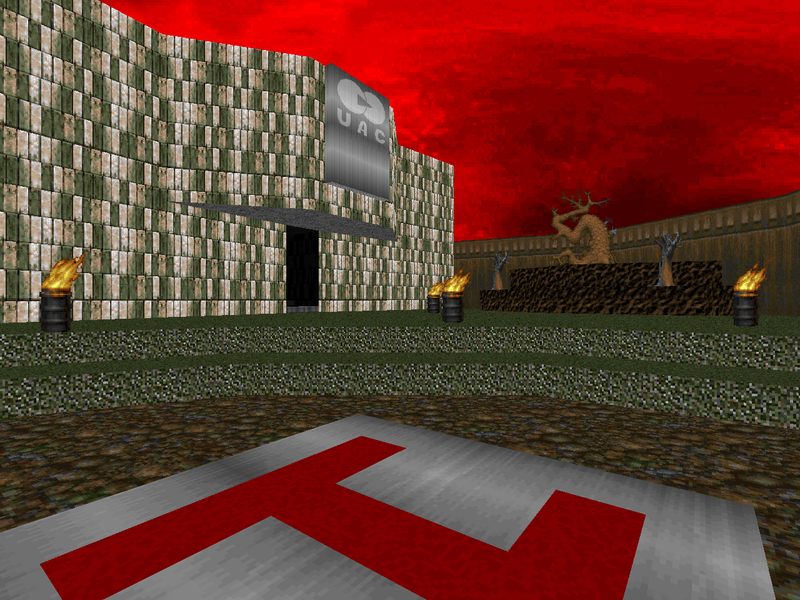 The plan is to eventually play my way through all of ABYSPED as well as other stuff like the original Doomworld Speedmapping Sessions or other communities like 3HA3 and 300 Minutes of /vr/.